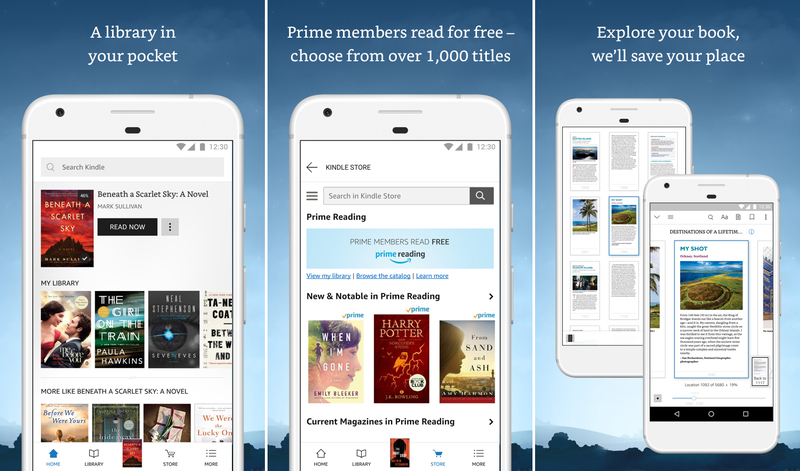 The Kindle app has been on Android since the early days, and it's been some time since Amazon gave it a fresh coat of paint. The busted old interface is on the way out today. A new Kindle app is rolling out with an updated look and some new features. Although, not everyone is happy with the new app. Here's the changelog provided by Amazon. The interface is now predominantly light instead of dark, but you can revert to a dark theme if you want. The carousel of books is no longer present. Instead, you have a series of scrollable rows, one of which is your library. The others are suggested books from the Kindle store. The app looks more like the Amazon website, actually. At the top is a search bar that shows up throughout the app. It can search for books you've downloaded, as well as books in the store. The new app is still rolling out, so don't fret if you don't have the update yet. Amazon says everyone should have it this week.